Description: LDA Visualizes a World in Which: all individuals with learning disabilities are empowered to thrive and participate fully in society; the incidence of learning disabilities is reduced; and learning disabilities are universally understood and effectively addressed. LDA’s mission is to create opportunities for success for all individuals affected by learning disabilities and to reduce the incidence of learning disabilities in future generations. Description: Anxiety and depression are treatable, but 80 percent of kids with a diagnosable anxiety disorder and 60 percent of kids with diagnosable depression are not getting treatment.Anxiety is a normal part of childhood, and every child goes through phases. A phase is temporary and usually harmless. But children who suffer from an anxiety disorder experience fear, nervousness, and shyness, and they start to avoid places and activities. Description: The Interagency Autism Coordinating Committee (IACC) is a Federal advisory committee that coordinates all efforts within the Department of Health and Human Services (HHS) concerning autism spectrum disorder (ASD). Description: The Autism Research Institute (ARI) is the hub of a worldwide network of parents and professionals concerned with autism. ARI was founded in 1967 to conduct and foster scientific research designed to improve the methods of diagnosing, treating, and preventing autism. ARI also disseminates research findings to parents and others worldwide seeking help. ARI publishes the Autism Research Review International, a quarterly newsletter covering biomedical and educational advances in autism research. Description: This spreadsheet is a list of enrolled Medicaid Providers who currently offer Assistive Technology and Environmental Modifications through the Home and Community Based Waiver Programs. Please use this list to locate a provider in your area if you are in need of these services. Description: Parallels In Time and Parallels in Time II tell the history of people with disabilities in Western Civilization. Each of the major aspects of a person's life — home, learning/education, and employment are presented by decade with images, photos, history, and stories that reflect and represent the reality of this period in our history. Video clips and interviews are contained in this presentation. Description: The Department for the Blind and Vision Impaired (DBVI) is committed to providing quality services to assist Virginia's citizens who are blind, deafblind or vision impaired in achieving their maximum level of employment, education, and personal independence. 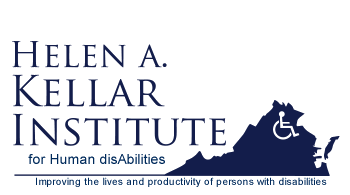 The department provides an array of specialized services to blind Virginians of all ages to assist them in attaining the skills, confidence and positive outlook that are critical to independence. Description: This detailed report summarizes the state of the science with respect to what is known about the efficacy of therapies for children with autism spectrum disorders. Description: This Social Policy Report summarizes selected recent studies on diagnosis, prevalence, and intervention, and discusses strategies for designing social policies to help improve the outcomes and independence of children and adults with ASDs. Description: FRIENDS WHO CARE® is designed to help children better understand what it means to live with a disability, and to encourage children to accept differences. It explains what differing disabilities are, and provides hands-on activities to help children learn how people with disabilities live independent, everyday lives. It can be downloaded for free. Description: The resources in this module offer helpful tips on setting up the physical aspects of your classroom and will introduce types of equipment used by students with visual disabilities. 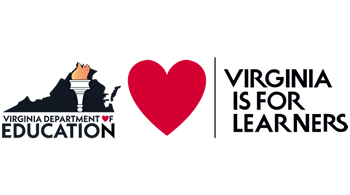 Description: The Virginia Autism Council is a council of autism experts seeking to define needed skill competencies and to advance higher education, training and educational opportunities for personnel and caregivers supporting individuals with autism. 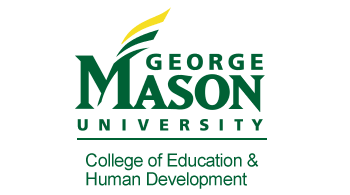 This website is Virginia’s clearinghouse on best practices and research-based education and training opportunities to advance personnel development and knowledge regarding autism in Virginia. Description: Welcome to Tony Attwood's website. This website is a guide for parents, professionals and people with Asperger's Syndrome and their partners. In this site you will find issues related to Asperger's Syndrome, resources, resource papers Tony has authored, related topics and Tonys presentation schedule. Description: This website includes autism training and resources for law enforcement, emergency first responders, parents, educators, care providers, and the autism community. Description: "Specific learning disability" means a disorder in one or more of the basic psychological processes involved in understanding or in using language, spoken or written, that may manifest itself in an imperfect ability to listen, think, speak, read, write, spell or do mathematical calculations. Description: Attention Deficit Hyperactivity Disorder, ADHD, is one of the most common mental disorders that develop in children. Children with ADHD have impaired functioning in multiple settings, including home, school, and in relationships with peers. If untreated, the disorder can have long-term adverse effects into adolescence and adulthood. Description: Guidance designed primarily for service providers regarding effective early intervention for infants and toddlers who are deaf or hard of hearing, the extensive resource section is beneficial to anyone working with young children and students with hearing loss and their families. Description: LD OnLine provides a new article called Learning Disabilities: An Overview. This article provides the basic facts to people who are learning about learning disabilities. Please use it to educate others.